CK and Nate header: One Year Old! This past Sunday Will turned one! We had a Sunday brunch party for him at a local park and we all had so much fun. 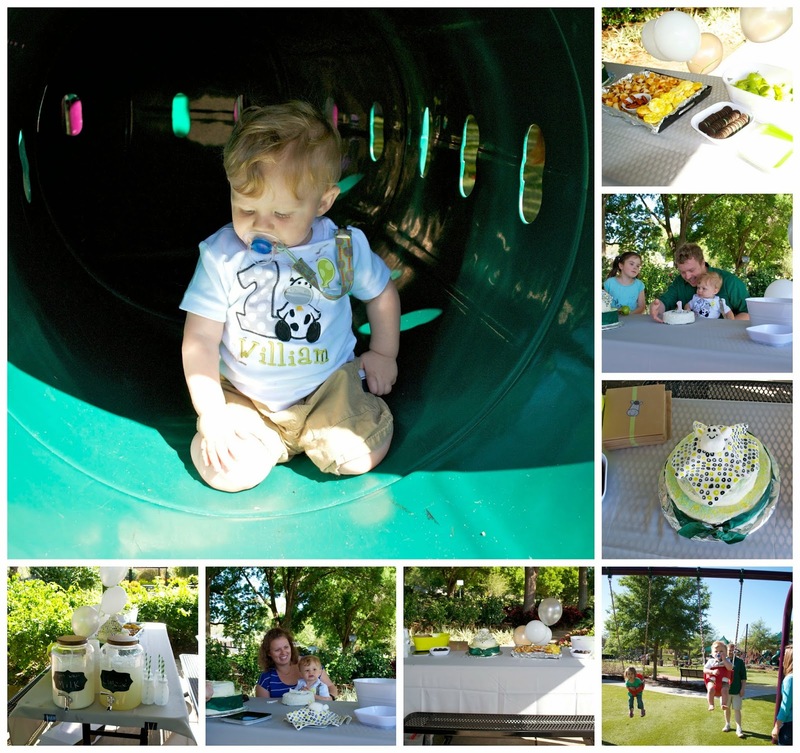 The party was themed after Will's most favorite cow... his lovie... so we had food like pigs in a blanket, cow chow and egg muffins as well as mint oreos, black and white donut holes and granny smith apples. For drinks we had water, milk and limeade to keep with the green, white, black and grey theme. I got Will's awesome shirt from Etsy and they were so great about working with me to get exactly the shirt I wanted. Also, one of Nate's former students is really into Culinary arts and made Will an amazing lovie cake... it was super impressive. A bunch of our friends made Will feel super special on his big day and Nate's cousin even came down from Gainesville for the day! 30 in tall (57%), 21 lbs 11 oz (56%), have a head circumference of 18.5 in (76%) and have HUGE feet!